Do you want to be calm confident and in control of your life? Are you the shrinking violet that hides at the back of the room at parties? Are you the one that dreads walking in a room for fear of people looking at you? Do you feel that you do not show the real you to people? Do you have trouble public speaking? Are you always passed over for promotion? Hypnotherapy can show you how to live the life you want. 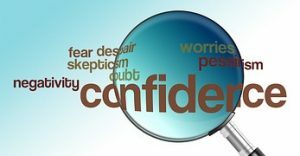 Low levels of self-confidence can be very restrictive in a person’s day to day life. What self-confidence is can be difficult to define. Generally though it can be described as having a feeling of trust and faith in your ability to ‘be’, ‘do’ or ‘achieve’ something; weather in a social situation, a relationship, at work, or generally in life. It is that self-doubt and negative self-talk – The things that you tell yourself you’re not able to do, or not good enough for or underserving – that lead to a feeling of lack of confidence inside yourself. Constantly telling yourself and remembering all the ‘evidence’ to support your poor judgment of yourself is stopping you from living an authentic confident life! Once the emotional cause of why you are so self-deprecating has been released from your mind, that inner critic becomes quiet, and you can begin to live a self-assured life. Hypnotherapy reprogramming helps you to build confidence – You can feel a deep sense of inner satisfaction as you learn to feel comfortable as you really are. Hypnotherapy helps you to face all situations – even the most difficult and confrontational – with confidence and poise. Hypnotherapy can release inner tension – experience true comfort and safety – build ego strength – enhance your self-esteem and increase your self-confidence.